A fresh project born from the work of two creative minds: an outstanding, one-of-a-kind Transylvanian born voice and appearance – Delia Pann, together with a sound designer & highly professional electronic artist – Yvat. Just recently released their debut single Lila – “…absolutely fantastic!” – Stuart Clack-Lewis, Premium Blend Radio Show. For their first live appearance, 1 0 0 1 were a stand-out act playing this years Summer Well Festival after show party – 11th Aug. 2018. “…incisive, provocative, rebellious.” – Florian, Skriber, France. – You don’t find many modern Scottish bands singing about fairy tales or fantasy. – Craig Mckenzie, Megalomatic. Formed in 2013, by McKenzie, drummer Jamie Barnes and bassist Ben Reffin, Megalomatic do indeed sing about real life issues and they do so with equal parts muscle and heart. A power trio whose musical might comes across as a mixture of Biffy Clyro by way of Mastodon, Megalomatic have proven, over the course of their young career, that heavy music can have profound emotional resonance. While the band’s debut album Hunt For The Midnight Sasquatch showcased their penchant to play metal that was informed as much by Black Peaks as it was by South Park, the band’s new EP Symbolism is a jaw-dropping batch of new material that represents a massive creative leap forwards both lyrically and sonically. 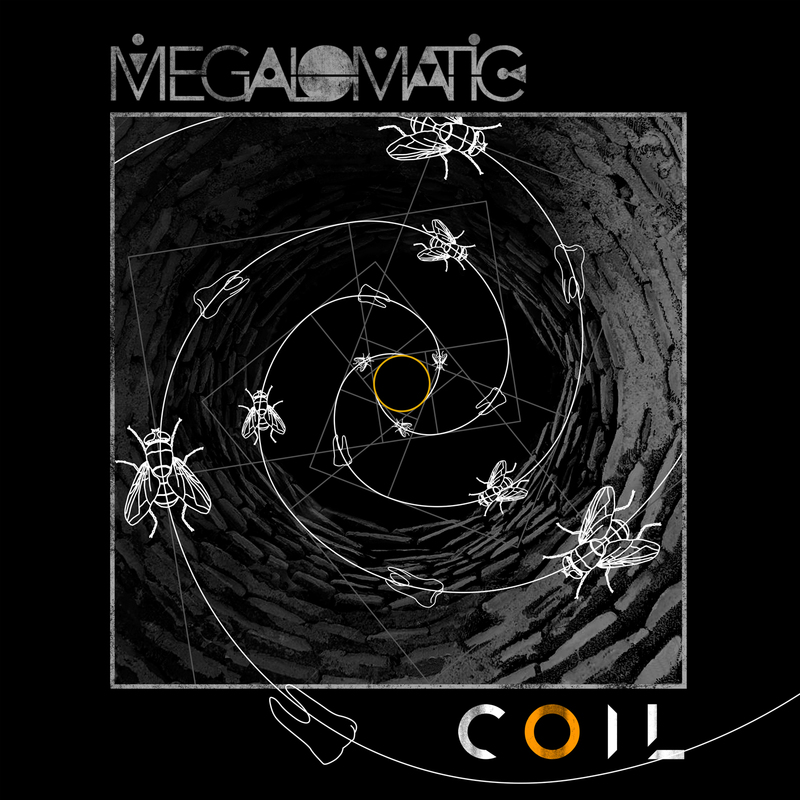 While Megalomatic can play it dark, fast and heavy, their songs have surprising breaks and shifts that catch the listener off guard and beg for repeat listens. Their varied musical tastes that range from Snoop Dogg to Ice Cube to Everything Everything, demonstrate that this is a band that draws inspiration from the least likely of places. This can best be evinced in Megalomatic’s pre-show ritual, which is perhaps one of the more surprising reveals you’ll run into all year. As a band we hype ourselves up before playing a show, McKenzie laughs, by listening to Will Smith – in the car and before we hit the stage. To start the ball rolling, Megalomatic start their UK tour with an EP launch with DF Concerts in Glasgow, 15th Sept., 2017. An alternative, electronic/acoustic pop creation from Dalila Mya. Originating from Europe, now based in Los Angeles; this musical creativity comes from a background of classical training combined with a Sound Engineering Degree. Mya Project is a fusion of electronic and acoustic music, where Trip-Hop meets Word Music and Pop Rock. Dalila’s background has seen her work as a Live Sound Engineer – working with artists such as Tool, Depeche Mode, Alabama Three and Massive Attack. Besides her live work, she has worked as a Sound Engineer for several studios in England and the U.S.A., including Abbey Road in London and The Village Studio in Los Angeles. Dalila has her own recording studio in L.A where she produces all her works including the new release MK. Now, MYA Project is here, fusing what Dalila knows and loves best. Her journey as a versatile artist has seen her become an accomplished singer, songwriter, violinist and synth player. – Debut album, MK: dark and tender compositions, and yet, an uplifting presence fulfills you. You will hear subtle but effective tones and melody fused with dance/industrial, influenced beats. – It’s all about Imagination is the first single to be taken from the album MK. – The track Freedom from the debut album features UK media artist and poet – Beyonder. MK by MYA Project out now! Friends long before band mates, Civil Villains spent many evenings discussing the music they loved before they decided to start making their own. Their sound has been hard to pin down, walking the tightrope between mathy alt rock and desert riffage. Described by one reviewer as “being belted in the stomach with an indie/techy/early Biffy fucked up riffy punch followed with a smooth cuddle of beautiful toned guitars and complex beats”. Their live show saw them described as “humble and talented”. Recorded at Brighton Electric with Josh Harrison (Royal Blood, Tigercub, British Sea Power), Civil Villains are set to release their forthcoming double A-side Heathens and Cream // Haunted Hokum on November 25th through Milky Bomb Records. Debut release Fallow was included on an anti-racism compilation put together by Might As Well Records, alongside many other acts including Apologies, i have none, Youth Man, Fizzy Blood, Departures, and lots more. Having cut their teeth in all manner of London venues, Civil Villains have recently returned from a North American tour, where they performed headline shows in Toronto and Cambridge, Envol et Macadam Festival in Quebec City and Mondo.NYC Festival in New York. Recently they were main support for Listener at The Borderline; played with Tides from Nebula, London shows with Polymath at The Boston Music Room and Wild Throne at The Old Blue Last. SLF&Co – No Beats In Algebra is a collaboration of vocalists and musicians – also known as the lovely folk & friends from around the towns of blighty. The SLF&Co project came to light from a PC, in a flat, in Norwich. Clocks tick, tracks emerge, people lend an ear, a voice, some insight and the occasional slap. Influenced and inspired by many different genres and production techniques with a few bits and bobs of rock, electronica, ambient, dance, hip/trip-hop, avant-garde and progressive music. No Beats In Algebra will fulfill all of your musical preferences in one nicely rounded package for the ears and mind to ponder. 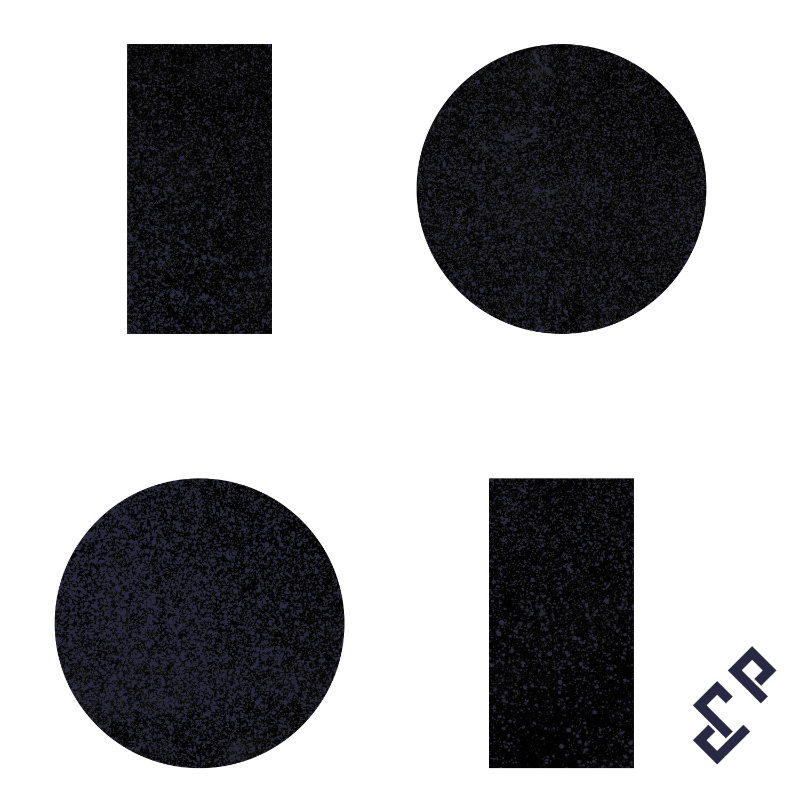 Featured artists on No Beats In Algebra can also be found with their respective groups on the compilation release An Amalgamation of Sorts…Part Zero (2015) through Milky Bomb Records. Formats: mp3, wav, download and magical streaming… not forgetting the classic old sliver fox – CD! Preview & Purchase at the Milky Bomb Shop – Out Now! When you think of a Brighton band, an image of laid back, easy listening summer music could spring to mind. Forget what you think you know! Comprising of 3 rag tag musicians, Ragweed are best described as a noise, riff, rock trio. But don’t go running away with the idea that this band is simply about turning the fuzz pedal up to max and screaming over a single riff for 3 minutes. These boys know how to write a tune not to mention putting on one hell of a show in the process. Hard work and dedication has paid off! Having played 8 self booked tours – the band have shared the stage with some of the latest up and coming bands including: 68, The Xcerts, Demob Happy, Tiger Cub and Axis Of. 2016 was the perfect time to take a break, write new material and strengthen the current line up resulting in a renewed vibe and rejuvenated band. 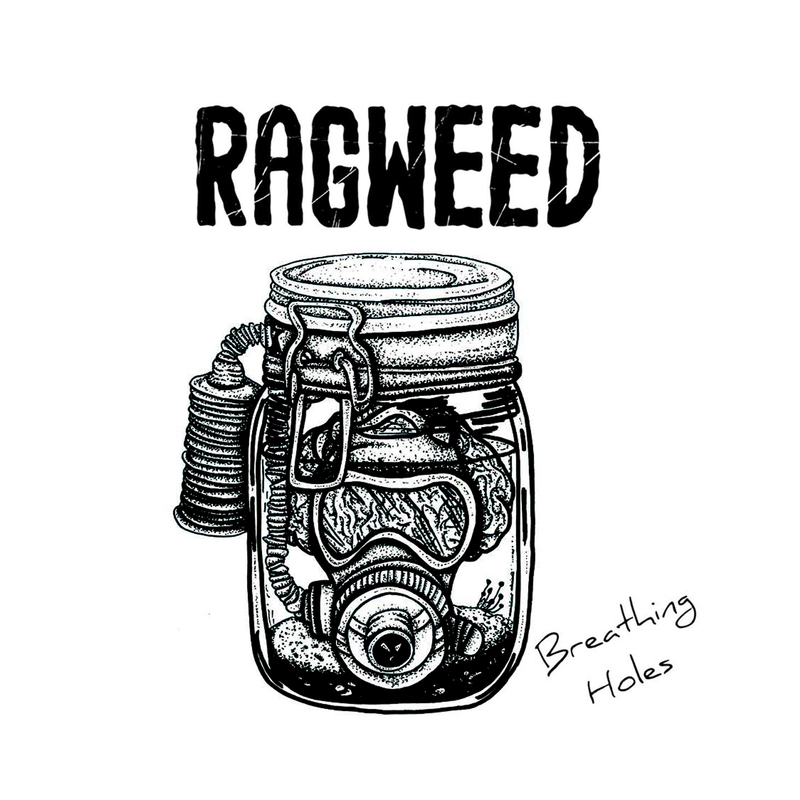 Now in the build up to their debut single, Ragweed have their foot firmly on the gas as they plough their way though whatever the hell is in their way. Their sound defiantly caught Alan Douches of West Side Music’s attention over in New York, most famous for his work with Motorhead, Cancer Bats, Every Time I Die and Screaming Females. With his mastering of the band’s second single, Ragweed have never sounded more powerful! AA single ‘Rust Box’ Out Now! William Gunson (Vocals/ Guitar), Jamie Francis (Bass/ Vocals), Steven Berwick (Drums/ Percussion). LTD’s musical ability has never been in question, yet where some technically overt bands stumble by prioritising showmanship and virtuoso displays over solid song writing, A Beautiful Life plays host to a dozen exquisite and well formed tracks. The album pays tribute to the band’s history and its bright future, with their familiar sporadic time signatures, blast beats, horn blasts, infectious hooks, and a resounding passion for the insanely catchy all a testament to this. It was these traits that turned heads on the band’s previous release, the mini-album ‘Fantastic Contraption’ and resulted in rave reviews from Kerrang!, Terrorizer, Rock Sound, Big Cheese and an impressive list of online publications. They also received radio plays on the Radio 1 Rock Show, XFM Rock Show, Kerrang! Radio and BBC6 Music. Arguably the greatest success has been managing to bottle the explosive kinetic energy of their revered live experience, which has been witnessed during extensive touring across the UK alongside Heck, Letlive, Hawk Eyes, Lower Than Atlantis and Palm Reader. Album ‘A Beautiful Life’ out 23rd Oct. digital on Milky Bomb Records. Physical – Tangled Talk. Featuring – Crack House Dragon, Meadowman, SLF&Co., Thirteen, Mima Kojima, Sunday Driver & Logicbrake. A collaborative release with SD and Milky Bomb – ‘Remixes E.P’ feat. Keenya, NervraK, UVAVU and Mima Kojima. A collection of remixes based around Sunday Driver’s 2012 album ‘The Mutiny’ and their 2014 EP release ‘Flo’. Thirteen defy categorization! One person said they smelt funny and I for one tend to agree. More specifically this band is a pioneer of a new music genre known as “Meat Rock” or “Burger Music”. If you thought really hard you might imagine a seething meld of progressive jazz inflected groove metal and poly-rhythmic funk but these comments may bear no relation to actual events. Due to it’s high meat content this music, often simply called “Paté”, can expire prematurely if not stored correctly. …After numerous gigs in and around London and supporting the likes of They Live! (East London hip-hop rock outfit) and Seattle’s Mothers Anger, the band now begin to record their first full-length album at Milky Bomb Studios. Thirteen are: Chemise – Guitar, Simon – Bass, Oli – Drums & Vox, Rainbow Joe – drums on Degraded Jazz Tones & The Bedroom Sessions. He’s also the chap for engineering/mixing the music with the other 3 suspects. Sounds like Cyborgs vs. Cyber punks in a sonic weaponry death match! Electronic-hard dance-industrial sweet chaos. Got some noise going on. Check out The Granfather E.P & Paradox E.P available at all good digital stores. Sol Ruiz – Cuban Blues/Latin Folk artist from Miami. Sol appeared at the first Milky Bomb night in Cambridge with Thirteen, Sunday Driver & Miba and the Cinematic Kiss part of a mini UK tour and radio.